And lots of people are excited about cooler temperatures (although it was 90 degrees in NW Arkansas today!!!!) and pumpkin spice lattes…. PS I hate pumpkin spice anything. Sorry. Holding out for peppermint mocha season! If you know me well, you know I really don’t like Fall … and particularly October. Many years ago, it was just kind of my anxious season. Not only that – but beautiful, colorful leaves on the trees – at my house – mean RAKING. SOOOOOOOOOOOO much raking. Does everyone else not have to rake or not consider all those leaves have to go SOMEWHERE?? We used to be able to just rake leaves into the woods behind our house or even burn them when we lived in Missouri – but here in NW Arkansas on our little postage stamp lot in the city, we have to put our yard waste out in bags for the city to pick up every Monday. We average about 40-60 bags of leaves every fall/winter/spring from leaf clean-up. WE ALL HATE IT. Just being honest. October also marks the time of previous bad memories. While I’ve moved on from them, they still haunt me just a wee bit when October rolls around. We lost our 3rd baby to miscarriage on October 17, 2002. It was just a tiny 7 or 8 week gestational aged baby – but it was a baby (I saw it!) – and its loss is etched into my brain forever. October 5, 2012, was the day that my husband fell about 18-20 feet with a ladder as it slid down a wall from a second story window he was working on painting/staining, shattering his tib-fib bones at the ankle of his left leg. That was during one of the hardest times of our lives thus far – him being unemployed, us not knowing what the future was, and having our entire steady world rocked by totally unexpected events. We had no money and no idea what was to come — we only had God’s promises that He would provide for His children. And He did. That was 6 years ago. We are still recovering from that time. But we have come so, so far! We have lost so much … but it turns out all we need is our family and a few good friends – and Jesus. We always need Him. Looking back I can see how we are radically changed. First of all, I am a fierce protector of my immediate family. We are close as ever, thankfully, and have had to rely on each other when we had no one else. The older kids have taken care of Mimsy; Drew has done his fair share of taxi-driving his sisters and helping his old parents out when our vehicles took turns breaking down. My older kids have gotten jobs to pay for all the things they want/need that we can’t give them. I am something I never wanted to be – a working mother. Dan is something he never thought he’d be either – a glorified clerk at a hospital. We have struggled to find a church here. We are very gun-shy to join in anywhere too deeply as far as organizations go. We have all had trouble making friends (well, maybe not Mimsy!). We have all been deeply affected by moving to the unknown without having a military community or good church family or our own families near by. BUT we have made it this far, by the grace of God alone. We have lost so much in the last 6 years. From the simpleness of leaving a dog and cat behind when we moved to NW Arkansas to eventually losing our house there. In the last few years, we have lost 2 vehicles that we just drove until they literally died. We have lost financially and have only recently even seen the light of day on digging out of debt, only because GOD performed a HUGE miracle which I can’t explain to the internet world. We have been forgiven much – from the $90,000 hospital bill from Dan’s 2 surgeries in October 2012, to bitterness and anger and cynicism and doubt (and that’s just ME). We are radically changed – in some ways for the better … in some ways, for the reality of life. Our kids have grown up very differently than their peers now who have lived here all their lives and have NO CLUE what all our family has gone through. We’ve struggled to fit in and find our place, and have approached a lot of people with a very leery attitude. We have lived on a budget that seemed impossible sometimes as the expenses were more than the income (hence the great debt! ); we have had to say NO to purchases, activities, and things we would have liked to had/done. It probably make us seem stand-off-ish, but it is too hard to explain why we are the way we are, why we don’t participate in things others can. But we have seen great needs met – mostly by hard work. Dan has worked so many 60 hour weeks that I have lost count; I work 2 jobs. We are NOT complaining, I am just explaining, remembering. It has been a hard long 6 years … life has been hard, marriage has been hard, church has been hard … It reminds me that life on this earth isn’t the end all … With the political atmosphere of these days, I wonder if Satan isn’t just trying hard to destroy us all as Christians and those who want to live by God’s Word, luring us with distractions of the world: deceiving us with trite ideas of things that will “make us happy,” distracting us with stuff that doesn’t matter, and discouraging us with the things that do that are being viciously opposed by those who don’t believe. I wonder sometimes what MY purpose is here – sure, to raise good kids and fulfill the Great Commission. But many days, it just seems like we are trying to survive and trying to pay the bills and trying to keep a positive attitude when things around us are in chaos. 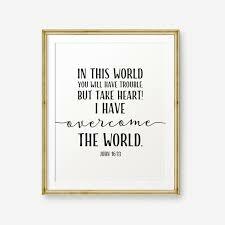 In this world you will have trouble … John 16:33 … but GOD has overcome this world. In 25 days, it will be November … and I’ll start feeling better about this ol’ world or at least about the calendar. November is my birthday month, and if nothing else, I can be thankful for LIFE. 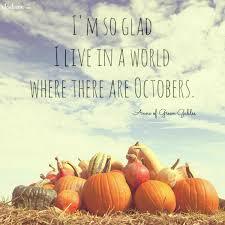 It isn’t all bad … even when October seems to make me feel a little melancholy. Thanksgiving is coming and there is ALWAYS, ALWAYS something to be thankful for. Every day. Even in October. Drew will be starting his JUNIOR YEAR of college at the U of A in August. So far, debt free … by the grace of God and a few scholarships and him living at home. Currently, he is spending the summer with his “other family” in Texas – friends from long ago days who are still friends. His major is still International Business and German – with an emphasis on something else which I can’t remember right now? Supply chain management or data analysis or something like that … Stuff that’s way beyond my brain to comprehend. Annie-Belle did it – she graduated high school in May. I think I am happier than she is – the teen drama and friends with boyfriends and so many other things have made me cRaZy. I think Annie was ready to move on as well, and hopefully she will find “her people” in the near future – there is OH SO MUCH life beyond high school! Currently, she is working at a children’s learning center (ie. day care – but don’t call it that!) to see if she truly does want to work with children in the future. She will (probably) attend college in the Spring or next Fall; she is, after all, just 17 years old until November. So far, she enjoys the kids, and her supervisor has already asked her to work more hours. I think that’s a good sign. I am impressed, most of all, with her ability to remember every child’s name – there are a lot of them! She gets that from her dad – he always remembered the children’s names when he was a school administrator. Mimsy is still our little Joy. She finished 2nd grade without ever getting “her pin moved” (the cautionary sign of misbehavior at her elementary school) – 3rd year in a row. This is absolutely shocking to me – but I am incredibly thankful!! She talks A LOT at home, so I guess that is when she makes up for the NOT talking she does at school?! We don’t really do all the things that I did when I was younger and a SAHM with my first 2 kids: no MOPS, no Musikgarten, no piano lessons, no soccer … I feel a little guilty that she might be “missing out” – but she seems content to just be home or tag along with her siblings. She loves Lego Friends, dolls, reading, and playing games on her tablet. Child care and mom guilt are still my biggest worries … thankfully I have had a WONDERFUL job the last 16 months that allow me more flexibility to be there for my children as much as possible. And currently, my mom is here for 2 weeks to watch Mims since Annie works now, and Drew is gone on his hiatus. The girls will be going to camp after that for a week, then Daniel will take a turn at child care for a week since he has vacation days (and we aren’t going on vacation this summer). Looking back, we are in a better place than we were 5 or 6 years ago … however, the financial struggles still loom HUGE. We are finally in a debt reduction program that gives us accountability – I hate it!! but at the same time, I know it is the only way we will ever get to move on and dig out of our financial hole. I am thankful for the simple life that our low-budget lifestyle has forced us to live. We stay home a lot – we do things that are free for entertainment – and we are always on the hunt for a bargain. While we haven’t kept up with the Joneses by any means, we have enough. Granted, I still struggle with wanting MORE – I would give my pinky fingers to get on a plane to go to Germany to visit my aging relatives, most of all … but God knows … and hopefully, some day, I can go back. So, that’s what’s going on in my part of the world … I hope all is well in yours! Sometimes I hodgepodge here … sometimes I hodgepodge there. That’s the fun of having 2 very different blogs (though this one is far more neglected!). A photograph captured just at the right moment or a painting created with the heart CAN convey feelings that 1,000 could describe but don’t need to. When we first got married in 1992 (almost 25 years ago! ), my husband was in the Army and we were stationed at Ft. Ord in Monterey, California (where Hwy 1 runs through!). I had never in my pre-meeting-husband life imagined living in CALIFORNIA, let alone in a small studio apartment with a view of the Pacific Ocean over the sand dunes from my front door! We lived there for 3 months before being transferred north to another place I never imagined I’d live – Ft. Lewis in Washington state where we spent 2 fun, adventure-full years. Anyway, I digress…. While we lived in Cali briefly, every weekend was like an extended honeymoon – we explored all the towns and cities and highways around us – and yes, we drove various portions of Hwy. 1 in California, Oregon and Washington. My favorite parts might have been Hearst Castle – the home of newspaper giant William Randolph Hearst – in San Simeon. I am among the very few (at least according to my Facebook feed) who aren’t looking forward to the upcoming fall season (side note: I am also NOT excited about all the pumpkin spice everything either!!). Fall makes me sad and fills me with dread. While I do like the weather (for the most part! ), I just know winter is coming. Maybe I suffer from seasonal affective disorder (SAD), but winter really, really gets me down. It is a long season of endless school, work, work, and school – cold, early mornings and not much else to look forward to (and believe it or not, even Christmas doesn’t really cheer me up much!). I do know that October brings me memories of some sad events: I miscarried our 3rd child on October 17, 2002 … my husband had a terrible accident that shattered his left tib-fib bones and ankle on October 5, 2012, after which he underwent 2 major surgeries in the weeks following … and so fall associations just aren’t my favorite. BRING ON SPRING & SUMMER!! 4. It’s your birthday and you get to pick the dinner menu. What are we having? Do you ever lie about your age? I haven’t had a good, thick, medium-well done steak with a loaded baked potato and a side salad in a long, long, long time so that sounds good right now! Dessert: strawberry swirl cheese cake – a few hours after dinner though, please! I’ll be stuffed for a while. I don’t feel the need to lie about my age. I’m 46 – and I’m okay with that! 5. What’s a life lesson you’ve learned recently? I have found I have mellowed out so much in the last few years. Little things, inconveniences, and other’s actions don’t bother me as much as they used to. NOW, don’t get me started on criminal and immature acts seen in our news these days by people who feel entitled or demand their special rights … or crimes against children, babies, or the elderly … but otherwise, there isn’t much you can do or say about me personally that will make me upset. I am truly “comfortable in my own skin.” I guess that is what 46 years of living and learning does for a person?!!? 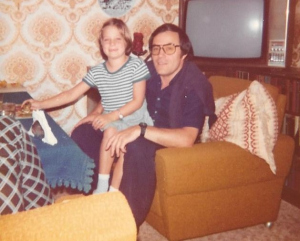 Itchy fingers need to type … busy brains need to write … I haven’t touched this blog since last February when I shared the story of the passing of my father. I have been focusing on new, less tell-all posts over at my German blog – Klein Bisschen Deutsch. I get to share a little bit (which is exactly what klein bisschen means!) about my memories and my thoughts, but mostly, I am keeping it neutral these days. We have lived in NW Arkansas for 4 years now (actually, as of July 28). There have been so many ups and downs and lessons learned in those years – and the ones before. I love that I was documenting some of the journey here … and sometimes, this blog felt like my only real friend (probably because I knew some of the readers behind it WERE real friends!!). I have missed blogging and documenting our days a lot, but feared I was sharing TOO MUCH personal information on the great big, scary world wide web. And yet, the need to sort through my thoughts and document our lives remains. And so I will play a little catch up today. Since I last posted, I have settled into a new job – and thank God for that job!! I work for a sweet – if not somewhat disorganized and laid back – Christian man who puts God first, then family, and somewhere along the line is business. I do billing for an independently-owned medical equipment company. I have fairly flexible hours, and I have truly nice co-workers that I now consider friends. Recently, the girl (lady?) I was working with moved on to a new company, and I am now the lead (and only) biller. I never ever wanted a career in my whole life ever (yes, that adamantly), but I must admit I enjoy being in charge of my little billing world – I love seeing payments come in and denied claims get paid. Today I wrote my first rebuttal for a decision Medicare made … and the getting the wording all right was almost – dare I say – FUN?!! That is actually my favorite part of the job – writing a reconsideration with all the facts and documentation for a denied claim, if indeed I know it should be paid. All those college research paper skills have come in handy! After a nice summer break, including a family vacation to Texas and a quick girls trip to visit my family for a few days in Tennessee, we were ready (ok, not really ready but ready as we’d ever be) to start school on August 14. Annie-Belle is a Senior (!) and Mims is in 2nd grade (2nd grade!!!??!!!). Drew started his 2nd year at the U of Arkansas this past Monday; he is still living at home to save money and also earned almost enough scholarships to pay for his entire Sophomore year. (PRAISE GOD!!) It is amazing how God provides because we really are just an ordinary family with average kids – no sports stars, no brilliant academics — just normal kids with normal talents, trying hard to do their best. Right now Daniel and I are facing 2 big giants in our lives: 1. our health and 2. our finances. We both have been challenged by doctors to get healthier (ie. lose weight, exercise). I have recently been diagnosed with autoimmune thyroiditis (otherwise known as Hashimoto’s Disease), and Dan is pre-diabetic. It is no suprise to us – in the last few years, the stress of his working up to 60 hours per week and my adjusting to being a working mom hasn’t been easy. We lack energy and motivation – and often are just exhausted mentally and physically. But this is serious, folks! Time to make some big changes. Also, after 4 years of attempting to dig ourselves out of debt – without going bankrupt – we have finally reached out for some financial help, and we have an adviser who is going to help us reach that goal. I am scared – it means cutting up credit cards – which we don’t often use but I like having in my wallet as a back-up plan. We are supposed to be focusing on our emergency savings … and doing all those “Dave Ramsey” type things that we never seemed possible to do. BUT again, it is time to make serious changes. In happier news, we have finally found a little church that we enjoy attending. It is much smaller than we are used to, but we love the pastor and his wife, an older couple who you just want as your grandparents. There are already many opportunities for us to help – Daniel has been asked if he would consider leading singing, prepare some special music, and even teach or preach occasionally. Annie-Belle and I can help with the childrens’ ministry – and she too can sing. I am looking forward to being useful again. As I enter my mid-40’s, I am far more aware of my parents’ ages as well. I’m so thankful my mom and dad are doing well. They take good care of themselves and try to stay active and involved. Over time, a few of my friends have lost their parents or gone through serious health crises with them. It is hard to think of those people who we knew so well at the ages we are now to be getting “older” … but time moves sometimes without our notice until we are hit hard with someone’s illness or death. Both my parents and my husband’s have discussed some of the things they are doing now to prepare for when they are gone … although we are definitely in no hurry to have to implement those plans! As many of you know, my biological father is German; he and my mother separated and divorced when I was 2 or 3 years old. I visited him every summer as a child and saw him often when we were stationed in Germany. 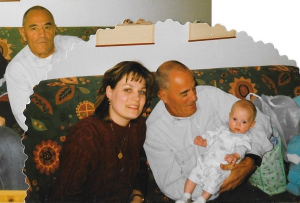 It was a blessing that he was there to meet his first grandson, born in 1998. We left Germany in January 1999. We saw my father 2 more times …. once when he visited us in Missouri, I think, in 2006 and again when Andrew and I went to Germany in 2012. He has always sent a post card a few times a year since then and transferred money for the kids once or twice a year. Last Fall, we didn’t get our usual money gift … nor my birthday/Christmas card. In January, my aunt (his sister) emailed me and asked if I’d heard from my father recently, which, of course, I hadn’t. She hadn’t either. I had thought about it so much, in fact, that I dreamed about my father during that time a lot. Today my aunt called to confirm that my father has passed away. In fact, he died on September 30, 2016. Because he spent much of his time once he retired in Cambodia and in Southeast Asia, that is where he died. It took some researching by the German consulate in Cambodia to get the facts, and many questions still remain unanswered at this time. While we obviously didn’t have a “normal” relationship, my father was still always very good to me over the years. He introduced me to Amsterdam and Paris when I was a teenager; he spent almost every evening with me when I was staying with my grandparents in Germany during my childhood, playing games or riding bicycles or going to the pool. When I grew up and married, he always wanted to know how the kids were doing and wanted me to send along pictures occasionally even though he was unable to see my children. In fact, he never met Mimsy. I am thankful God chose this man to be my father. I am thankful for good memories of him. I will hold those things close in the days ahead. Who leave the choice to Him. – Corrie ten Boom. 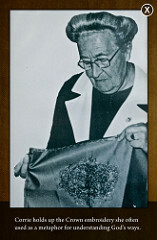 Corrie traveled and spoke publicly after she was released from concentration camp, and she is often quoted. One of her illustrations is of a lovely embroidery of a crown (shown above). However, when one only looked at the back side of the cloth, all you could see were knots and threads and a big mess. Oh how I wish I would just leave the choices up to Him like Corrie says at the end of her poem!! All too often I want to take the reigns of my life and turn things in my own favor – all the while making things even worse!! I shared recently that last year – 2016 – was a really difficult year for me. Starting with choosing to leave my job in June after my position was down-sized, things just kind of spiraled out of control. It was during this time, I was also talking with a Christian financial counselor about what to do about our debt that just wasn’t going away very quickly. Unfortunately, the news on that front wasn’t very good either, and it isn’t really resolved to this day … but just remembering why and how we ended up with so many financial problems brought back so many memories of the other hard year 2013 when my husband gave up his beloved job; and we went through unemployment, his injury, not being able to sell our house, living apart for 6 months, and eventually moving to another state. There were several days last summer that I just had to lock myself into my little office or the bathroom and just sob. I haven’t felt that brokenhearted and hopeless in a long, long time! Looking back, it probably wasn’t all that horrible as I imagined it to be, but at the time, it rocked my world. I finally had a job I loved and was looking forward to a summer with more time for my kids … and instead, I plunged myself into a new full-time job that took me away from my kids even more than ever. I think I knew even before I started working at the home health agency last July that I wasn’t going to like working full-time again. And I was right. Granted, my attitude didn’t help … and I entered my new secular, corporate world with a judgmental, negative outlook. Now, of course, the embroidery is turned over, and I’ve caught a glimpse of what God was doing with the tangled mess of my life. Granted, I am still a work in progress, but what a time of lesson-learning I’ve had these last 8 months. Recently, my old pharmacist/boss called me – not to offer me my old job back (although we’d talked previously that he wanted to hire me back but just couldn’t) – but to tell me that the owner of a medical equipment company that he knew of had seen my resume on indeed.com – and called him to ask about me as a medical equipment (DME) biller. So, my old boss hooked the two of us up … and the most interesting things began to be revealed. First of all, this man who owned the medical equipment business had an employee who is an alumni of the very same little Christian college that my husband and I graduated from!! Now that’s a small world because very few people have ever heard of Tennessee Temple University! Secondly, he himself went to a similar little Christian college in the same denomination for a semester, and he knew of many of the same preachers and other aspects of that circle of colleges that I know well. So, immediately, we had a connection. And not just the Christian college connection, but this man is a true believer – a Christian businessman who puts his faith and family before his company. And then we began to talk about a job offer … He needed a biller – and it just so happens his company uses the same computer software that my old, down-sized position used. So, I already have the advantage of knowing the computer program. AND lastly, he was looking for a part-time biller …. and he was offering flexible hours. AND he was offering a slight pay raise from what I made at the home health agency. I met with him and his wife one night about 3 weeks ago – and we immediately connected, not just about the job – but about our faith and our families. Oh, and I got the job …. and I start next Monday, February 20th. Somewhere between 8 and 9 a.m. … I can start and I can leave somewhere between 3 and 4 p.m. … and I can take off 2 hours or 4 hours or whatever, if I need to run errands or go to my kids’ program or just have my hair done. And so, at least in the job arena, God has shown me the beautiful picture He was working on while I bided my time in the “wilderness” of a secular job … where I learned a lot about myself – mainly that I can be extremely negative and judgmental and pout-y. I spent the first 2 months or so at this job just being angry that I had to work full-time and feeling sorry for myself all while judging my non-Christian co-workers for their worldy life styles. Yeh, some Christian example I was!! Then I heard this sermon at a church we were visiting, and the speaker mentioned how some people just hated the job they were in … but instead of wanting to escape, they saw it as a mission field. And while I didn’t become super employee of the month, I did repent and started seeing my co-workers as people who needed Jesus. People who didn’t know what it was like to live godly or to know the blessing and hope of having a Father to trust in. And I hope that in my last few months at my job, I was a little bit more salt and light than the little black rain cloud I had come in as. I am leaving my old job with (I hope) a few new friends … people who did not grow up like me, who don’t live like I do, who don’t even believe like I do … but people for whom Jesus died. People who are trying to find purpose and work hard and deal with all the things life throws at them. Maybe I showed them just a little glimpse of what it is like when you let go … and let God take control. For New Year’s/Christmas, I unexpectedly got a new (to me) car. 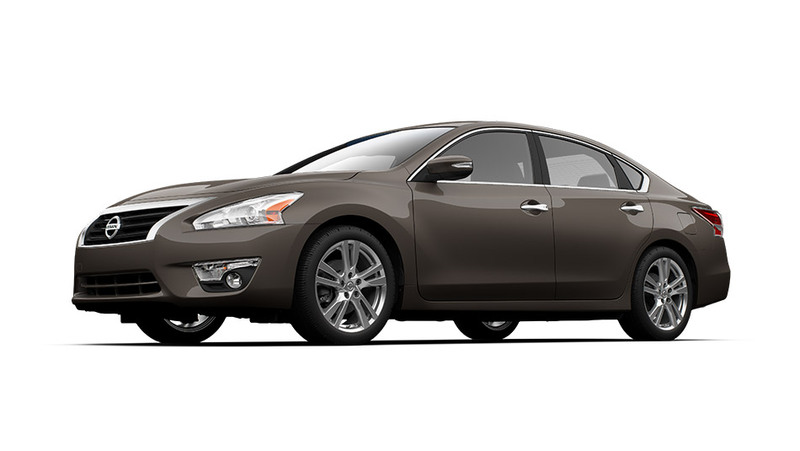 On December 30, we drove home a gently used Nissan Altima that is only a couple of years old. It wasn’t the car I had wanted when I first walked into a dealership that 2 of my friends had recently used and found to be very reasonable … We intended to get a 6 to 8-year-old used SUV or perhaps even a compact car…. Something we could pay off quickly and would get us around for a few years at least. Until our son bought his Honda Civic, we’ve always had “American made” vehicles as well. It what our dads always recommended and drove … and so we’ve had Pontiacs, Fords and Chevys and Buicks and Saturns, all made in the USA. It’s a long story … but in the end, I really think this is the car God wanted me to have. After my husband “negotiated” (ie. basically said “no” to every offer the salesman made until he came down to our terms/budget) the price, suddenly, we could afford it! While we haven’t had a car payment in probably 10 years, we now have one we can pay fairly comfortably. And now we actually have a car that will not only accommodate our family size-wise but might just not need repairs every couple of months! God willing … And the fact that the driver side window actually rolls down and the CD player works are bonuses after driving a van that had neither feature. The Bluetooth phone thing is a really unexpected bonus … and now I can drive around looking like I am talking to myself when I’m really talking on my phone! Do you ever associate your material blessings to how much God loves you? It is a sad fact that I found out about myself. In 2016, I was feeling somewhat neglected by God … kind of like he was some non-affectionate spouse or neglectful father because my life was HARD sometimes, and He wasn’t making it easier for me. And then, I get this new car, and I want to say, “I AM SO BLESSED!” … Am I more blessed now than I was last year when I was driving a broken-down, old Chevy mini-van?! Not really … in a sense. It is more like “I am blessed beyond what I deserve!” or is that even true?? I mean, my husband and I have worked our tails off the last few years trying to get out of debt, pay our bills, and keep our finances out of hot water. So I deserve this?? Do you deserve a new house if you’ve worked hard to save money for down payments?? 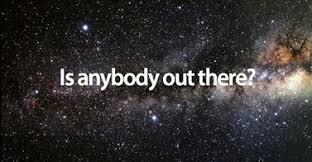 Maybe you do! Hard works pays off, right??!! I don’t even know why I get so worked about this issue because compared to Christians, say, in Mosul, Iraq, we are incredibly protected and “blessed” … or are they NOT blessed?!?!! You might ask them and I wonder what they’d say?? They might say that every day they get to live un-persecuted, they are “blessed”?? Anyway … let’s just say I am GRATEFUL! Life in America is not to be taken for granted. It should make us more eager to help those in TRUE need. Yes, our days might be “hard” … the inconveniences of life make things seem difficult sometimes … but in the end, GRATITUDE is something the Bible seems to emphasize far more than “blessings”. In fact, “blessed” in the Bible means “happy”, I think?? Like in the Beatitudes of Matthew chapter 5 or Psalm 1:1, “blessed is the man who walked not in the counsel of the ungodly …”. I don’t mean to sound ungrateful – but honestly, 2016 was a hard year. For the first time in 23 years, I didn’t send out Christmas cards or write an annual family letter. I just didn’t have much to say … but I will process it now by saying some of it here – just to document life and to also reflect God’s continued provision because despite my whining, it is always there! A happier event of 2016, my son graduated high school successfully and started his freshmen year of college with scholarships that almost paid for his entire first year … and my teen daughter turned a corner emotionally and spiritually this summer with the help of lots of counseling and prayers, and she began her Junior year of high school more confident of her place in Jesus Christ than ever … and my now-7 year old made it through the summer and the beginning of 1st grade fairly unscathed even though I felt so much like an absent mother. My husband and I still love each other … and our family still lives under one roof harmoniously (most of the time!). But 2016 was hard. School was hard for the older kids – not so much academically, but socially, they just never quite felt the belonging they knew at the previous school they had attended “all their lives”. My daughter is now finally feeling accepted there, but much of that is just that she has learned to accept herself (not in a psychological-mumbo-jumbo kind of way, but in a I AM A LOVED AND ACCEPTED CHILD OF GOD way). My son had a harder road as he had to work his way through the last 2 years of high school, which was the only way he was going to be able to buy a car and pay for books and college expenses due to our inability to help him financially. He had a lot more responsibility on his shoulders than most of the kids in his class. Not that it is less honorable or character-building to be able to play sports or have your parents pay for your schooling, but it hasn’t been our lot. Financially it was a hard year. We lost 2 vehicles … our old Saturn Vue that Andrew drove at first died in March, and my trusty Chug-A-Bug van gave up the ghost and its head gaskets shortly before Christmas. The logistics of “only” 2 cars for 5 people going in 10 directions isn’t an easy one to schedule!! And then we own this supposed “rental property,” our previous home, that does not provide income when the renters move out, which they did in October; God hasn’t sent us any buyers or renters since despite prayers to that end. Loss and loss and more loss…. My dad had prostate cancer treatments for the second time this past summer, and my brother lost 10% of a kidney due to a cancerous tumor this Fall. Yes, we are thankful they are both considered “cancer free” right now, but it was hard being far away from them while they went through serious treatments and surgery. It was hard not being there with my mom through this. Personally, while I am thankful to not have any “major” health issues, I have developed, starting in September/October – for the first time in my life – some weird allergies. Most every morning – many times starting around 4 a.m. – my nose clogs up and then runs simultaneously. I randomly break out in these lateral rashes – sort of under the skin – on my arms and on my neck and chin plus hives on my torso and thighs. Claritan and Benadryl are my best friends … and a wonderful side effect of that is it cures my insomnia! Plus I am now pre-hypertensive and have hypothyroidism again … no doubt it is all stress related. My mind says, “I am trusting Jesus,” but my body says, “you are in over your head, lady!!”. A big part of that is that in May and June, my wonderful, flexible, most favorite job was down-sized, which was a huge blow. Irrationally, I decided to find a new job, and thought that my “open door” was a full-time job at a regional hospital. While the office work itself was fine, being confined by office hours after the freedom I had at my previous job, felt smothering. And not only that, but being at work by 8 a.m. after trying to get 2 non-morning girls up and ready for school was not always an easy task!! Every morning is hard. And not being able to take care of family errands during office hours was hard, too. And lastly, sadly, I did not handle moving to a more secular, corporate world very gracefully; my judgmental tendencies toward my non-Christian co-workers was pretty ugly, looking back. Dan’s work wasn’t easy in 2016 either. His department is extremely short-staffed, and the wheels of a government agency move extremely slowly. Politics play a big part in the whole human resources process as well … and sometimes we question if a “retirement” is worth all of this?! We have survived financially thanks to him being able to work many, many overtime hours … often times overnight shifts sitting with a volatile patient or mindlessly watching cameras on a psych ward. But God provides for us through hard work, it seems. We have always said we don’t want hand-outs … and lately, we sure haven’t been offered any! I have always said in the last 4 or 5 years that God has provided for us with DAILY Bread. Any time we had any windfall, it was almost always followed by some crisis that took up all our resources again. I’m not really complaining … I’m just stating the facts that we aren’t getting ahead very quickly. We sure didn’t move to Arkansas to “get rich”! We don’t work secular jobs because we want to move up corporate ladders … We’d just like to provide for our family and be able to be generous givers to others. So far, Dave Ramsey®’s plan hasn’t worked out so well for us … but maybe in another 5 years we can reap some benefits … Thankfully, my husband keeps an eternal perspective, so it doesn’t weigh as heavily on him! So,that’s 2016. Not that there hasn’t been many joys and blessings in between … because there has been! Family and friends have been there for us when we needed them!! We’ve seen many a need taken care of, and we are all still alive, safe, and together! As far as life on this earth goes … we are hoping 2017 will be our year! As far as eternity goes, we know that life on this earth is just a vapor, and a far greater joy awaits. The joys God provides us on this earth, it seems, are often not material but personal, spiritual or relational. And I continue to believe God is working for our good and His glory (Romans 8:28). Instead of focusing on how exhausting my life is right now, I’ve found something that energizes me! Sadly, my new hobby doesn’t help me get my house cleaned, but it has put me into the kitchen a little more often – or at least dreaming about cooking and baking! My new German blog isn’t all about cooking – it is so much more! But I do share a recipe at least weekly. So far, I’ve share my favorite Apfelkuchen (which I made just last weekend for my in-laws), a simple chicken schnitzel (which I tried last night), and now I am looking forward to doing some holiday baking. The first Christmas cookie recipe I shared is Vanillekipferl, which are crescent-shaped almond/vanilla cookies. Those will be made this weekend with my girls (if I can find some vanilla sugar at the grocery store. You can make your own vanilla sugar, but it takes about 2 weeks for it to really get flavorful). 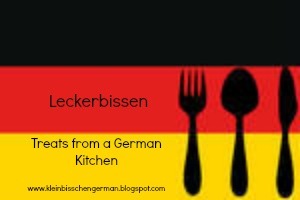 All my German recipes can be found under the label “Leckerbissen” which is featured on the side bar under Favorite Topics. There’s also a recipe right now for an Old World Dinner that features sauerkraut, sausage, potatoes, and bacon. It is made in the crockpot and can feed a crowd. So, even if you aren’t interested in Germany, speaking German, or my German articles, check out the FOOD. We all like food, right? No matter what nationality! Something for a laugh – Seriously? See you over there ….